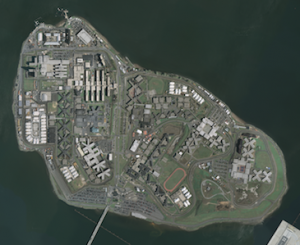 The last time a major hurricane was headed for New York–Irene, in August of 2011–Bloomberg gave a similarly terse response to a question about the island prison. ”We are not evacuating Rikers,” he declared even as other shoreline communities and City Island were cleared of residents. With little information forthcoming from the New York City Department of Corrections and Rikers left blank on the city’s Evacuation Zone maps, prisoners’ loved ones “were in a panic,” says Lisa Ortega, whose 16-year-old son was being held on Rikers at the time. A story originating on Solitary Watch, “Locked Up and Left Behind,” went viral, and thousands of readers expressed concern or outrage.